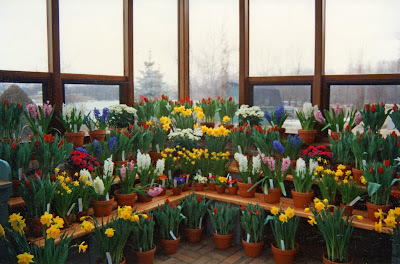 I have so many historic images of the gardens that I’m planning to blog about a little history every Friday this winter. 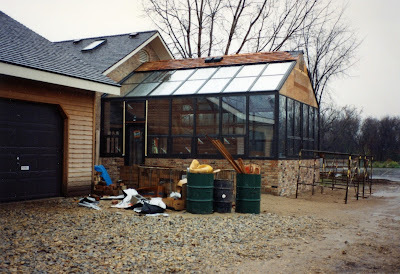 Today was slow around the Horticulture Center with Maury coming in for some errands and Dr. Gredler in for some painting. 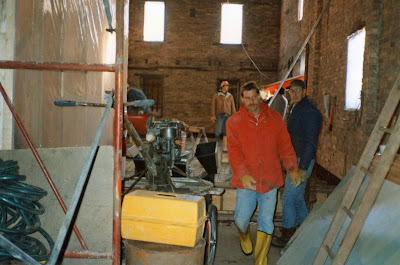 Gary popped in as well. 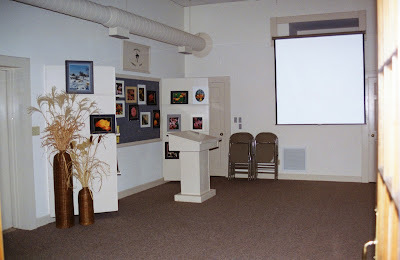 The Holiday Light Show (HLS) ran well last night for the Business After Five event (private) with many folks enjoying a stroll. 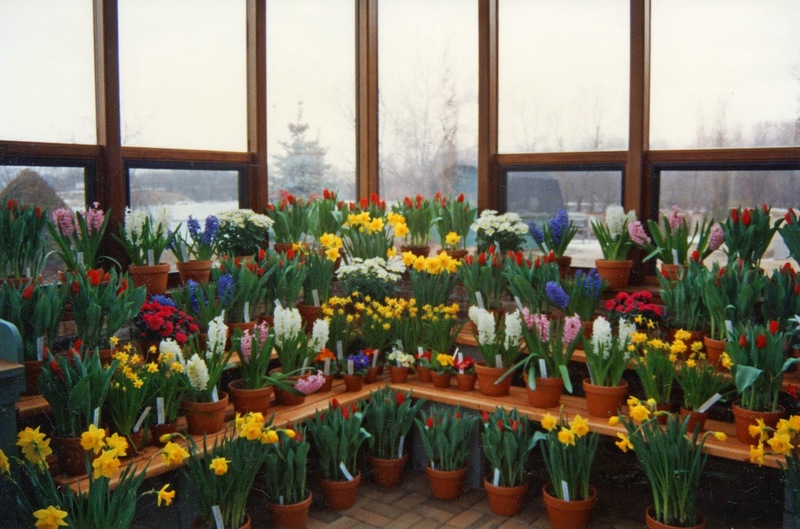 We open the HLS to the public tonight (4 pm – 8 pm) and will likely see heavy crowds with a mild weekend (some rain predicted unfortunately). 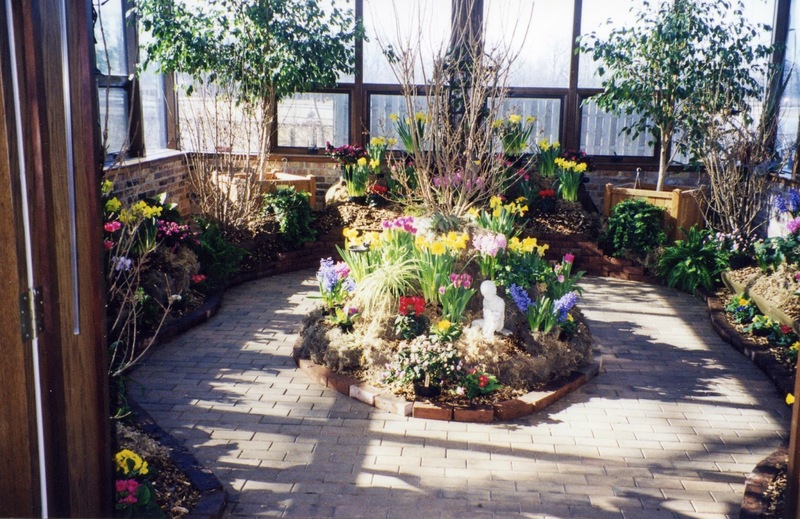 See www.rotarybotanicalgardens.org for more information on the event and purchasing tickets in advance (recommended!). 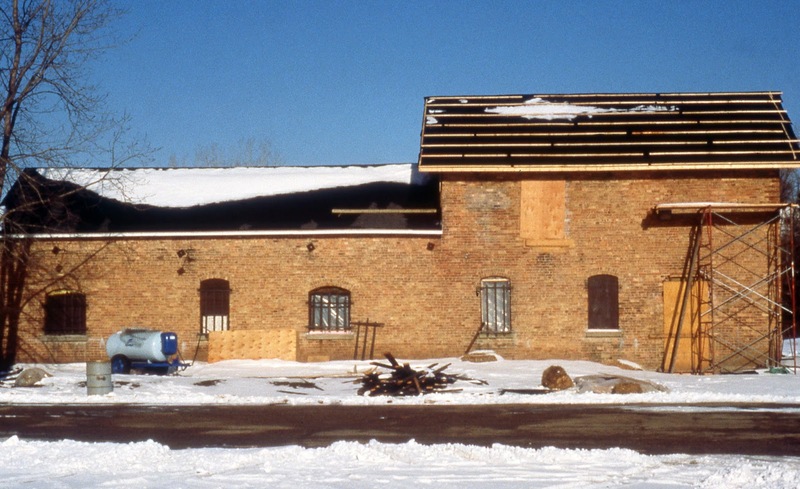 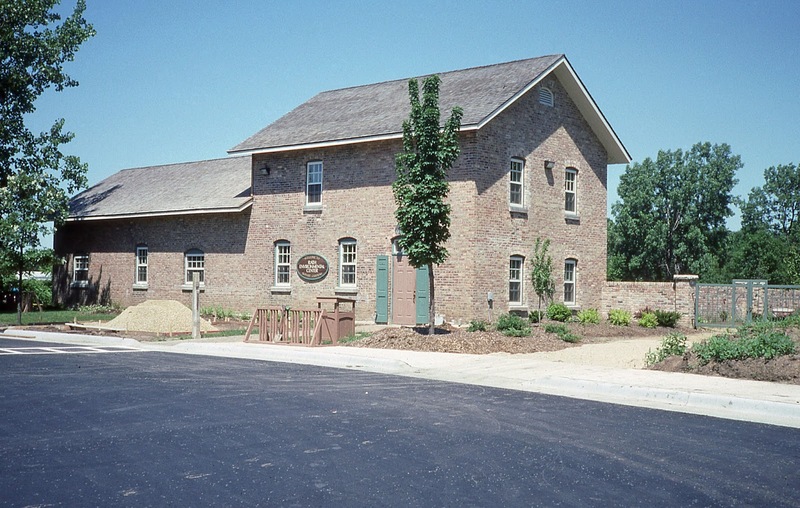 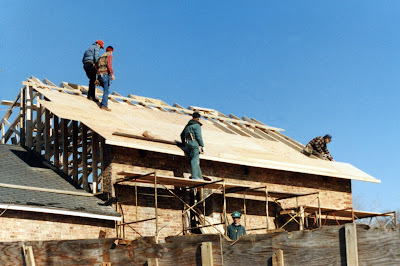 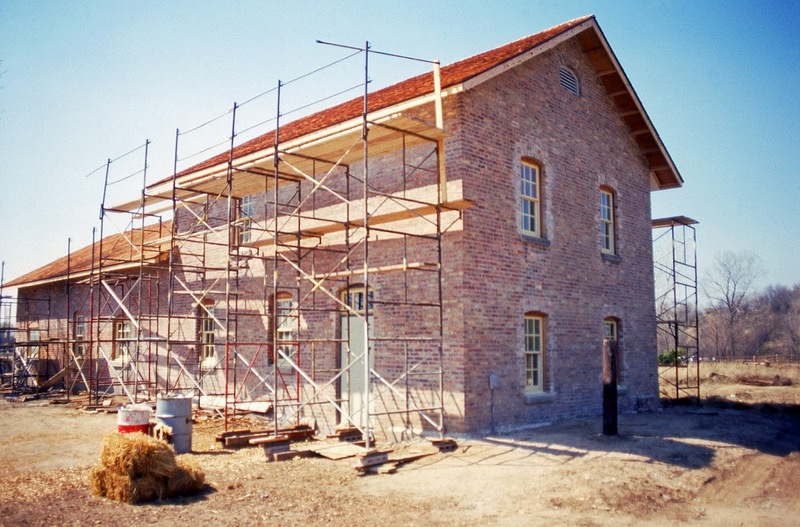 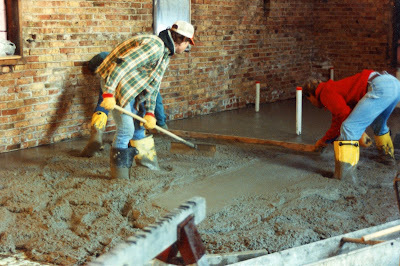 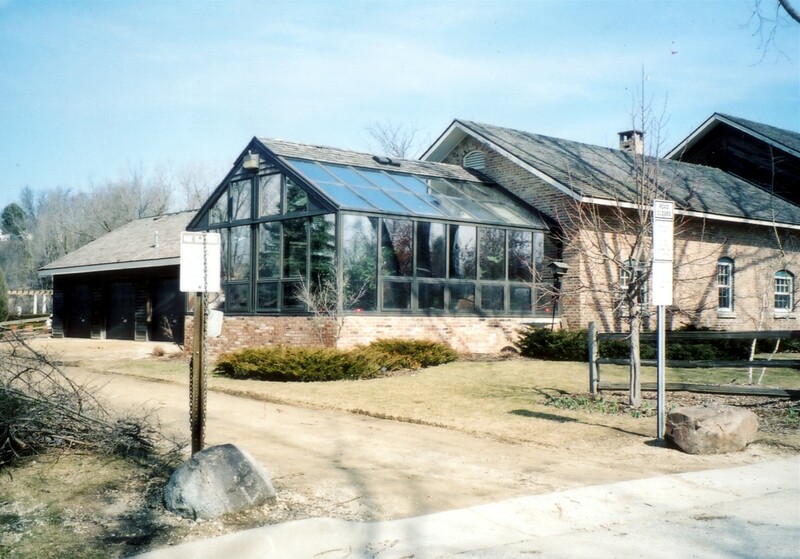 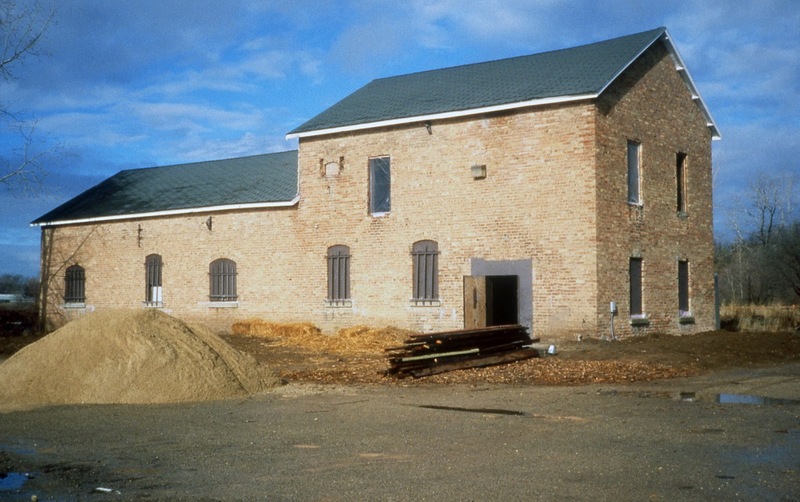 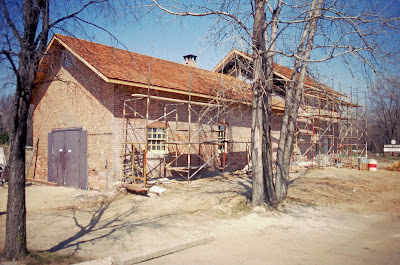 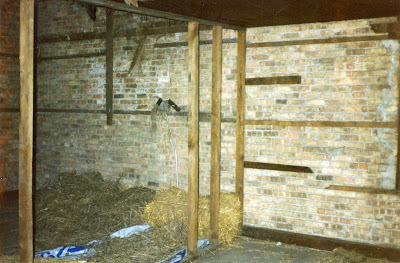 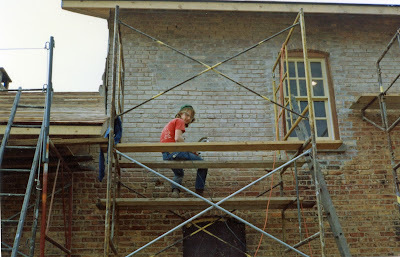 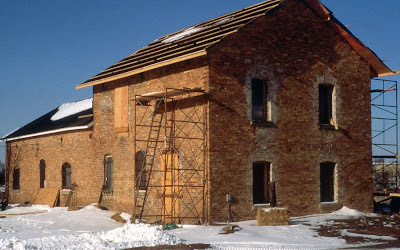 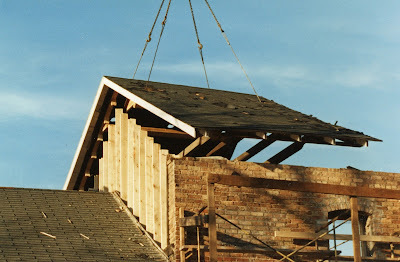 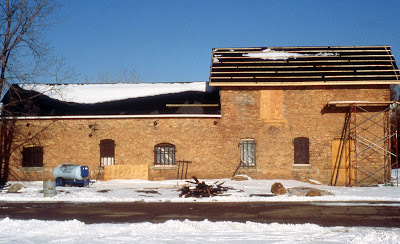 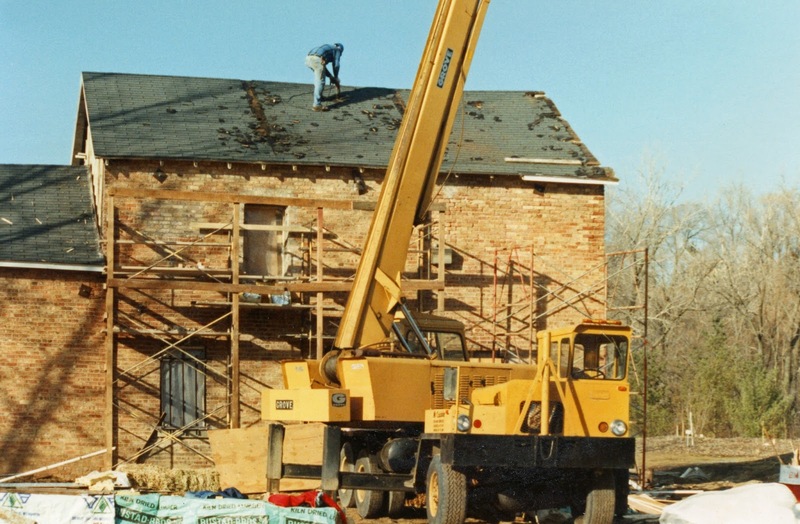 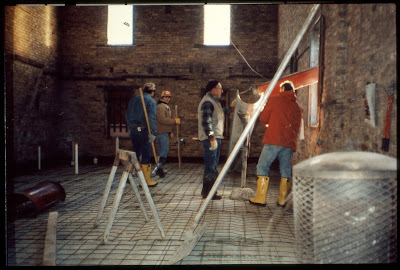 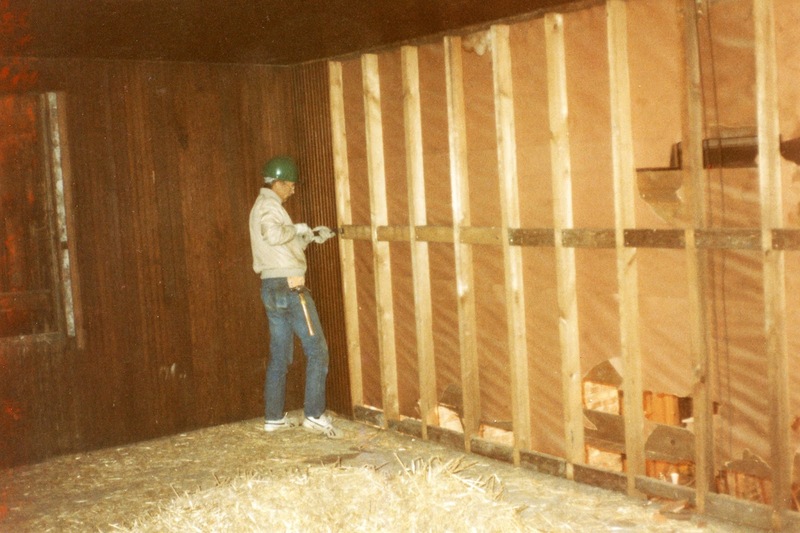 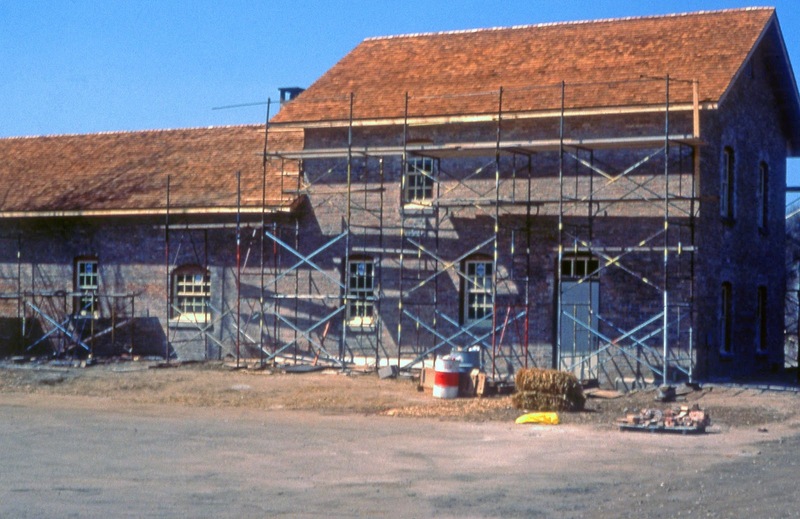 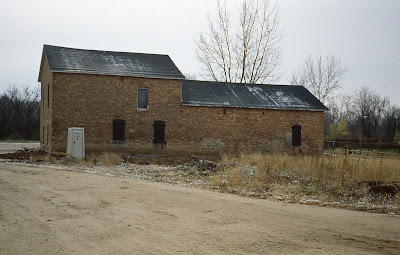 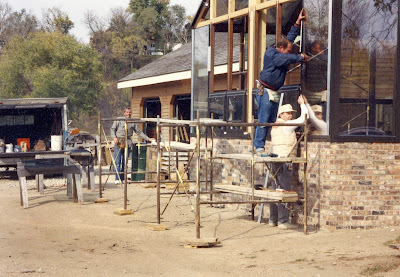 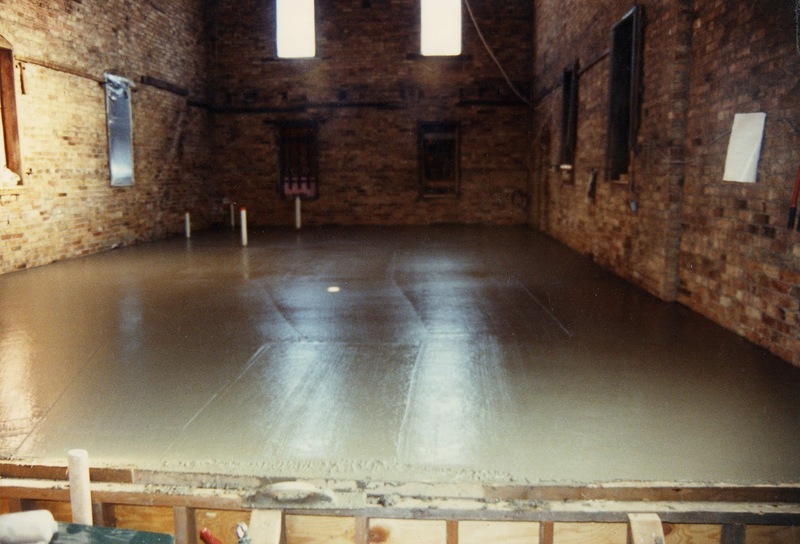 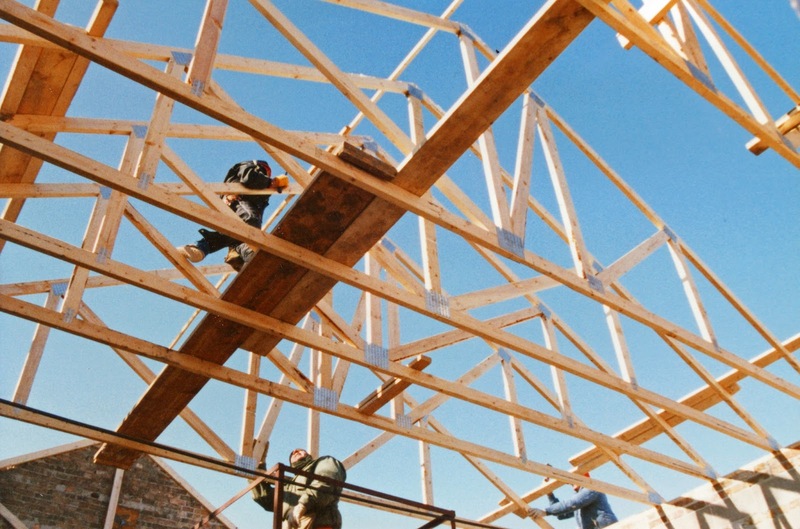 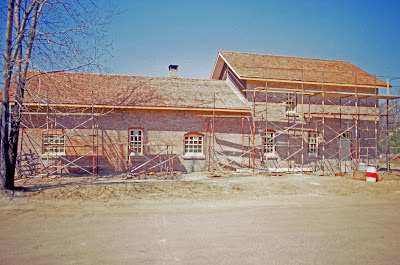 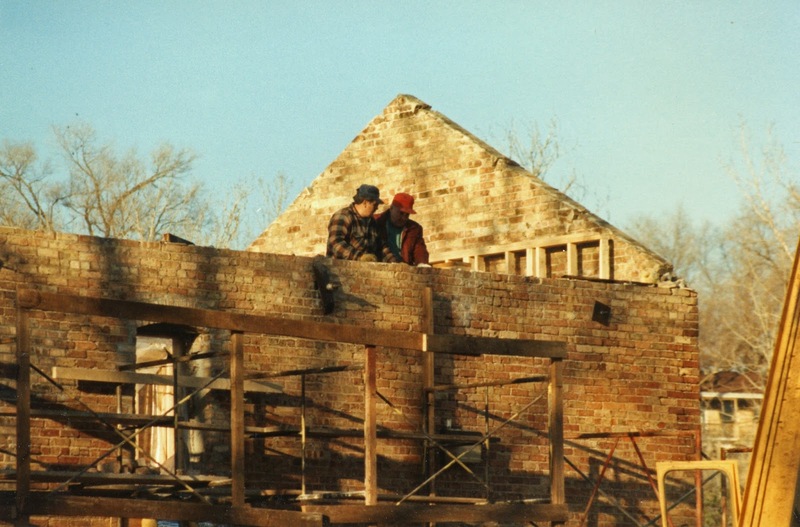 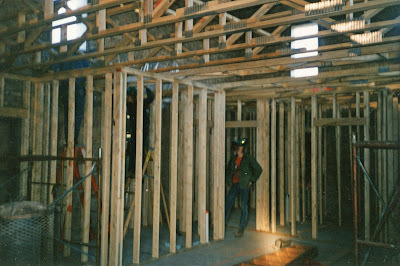 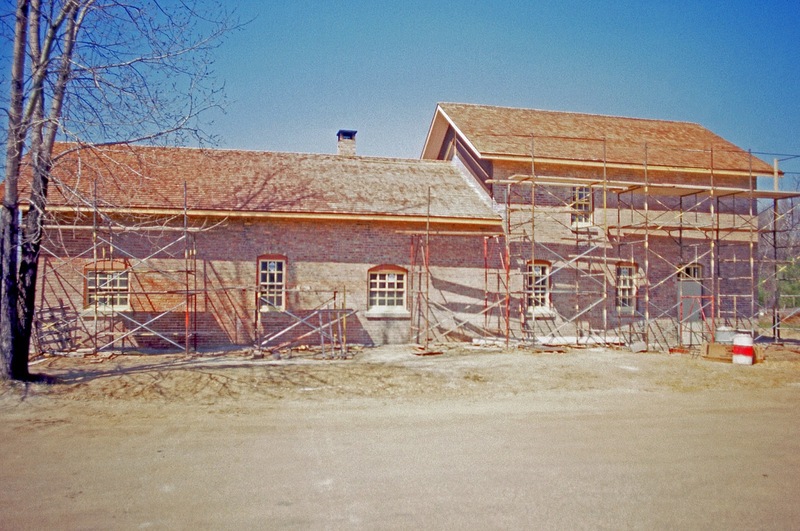 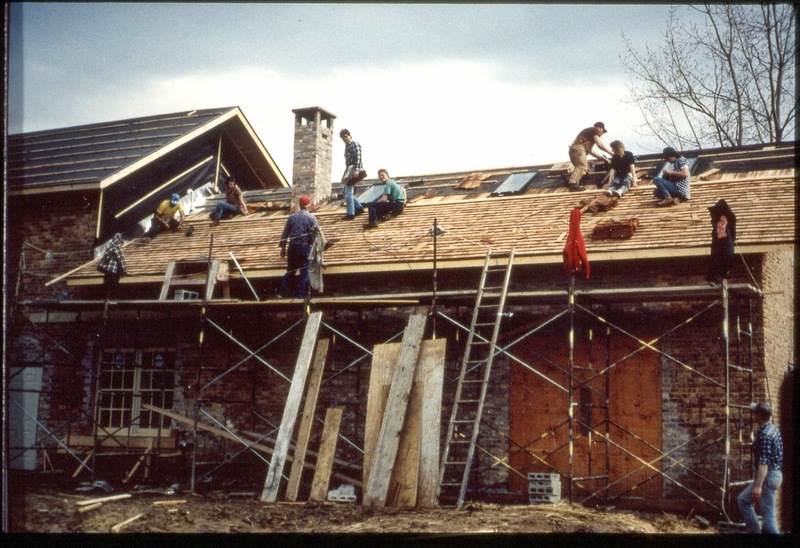 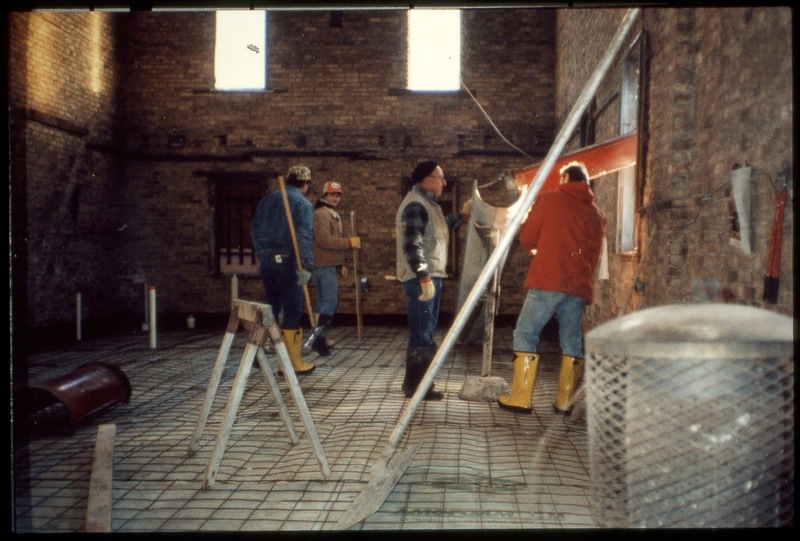 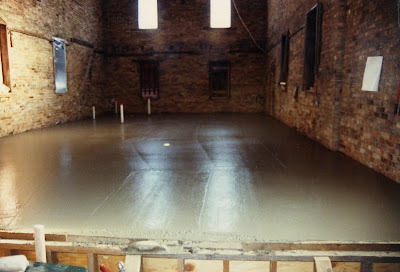 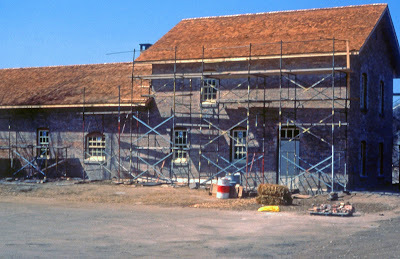 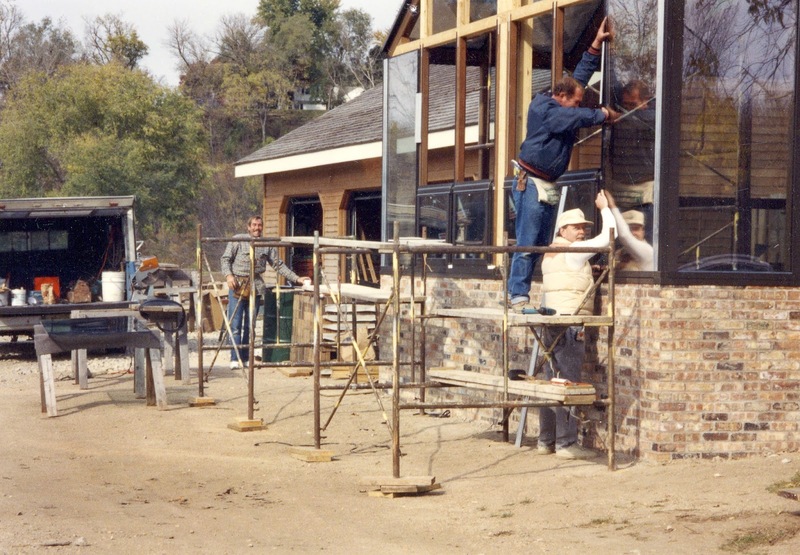 This series of photographs shows the conversion of the old Wilcox Sand & Gravel Office Building (above) in to the Rath Environmental Center back in 1989-1990. 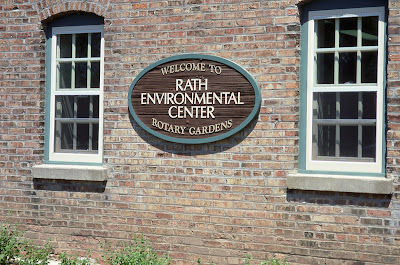 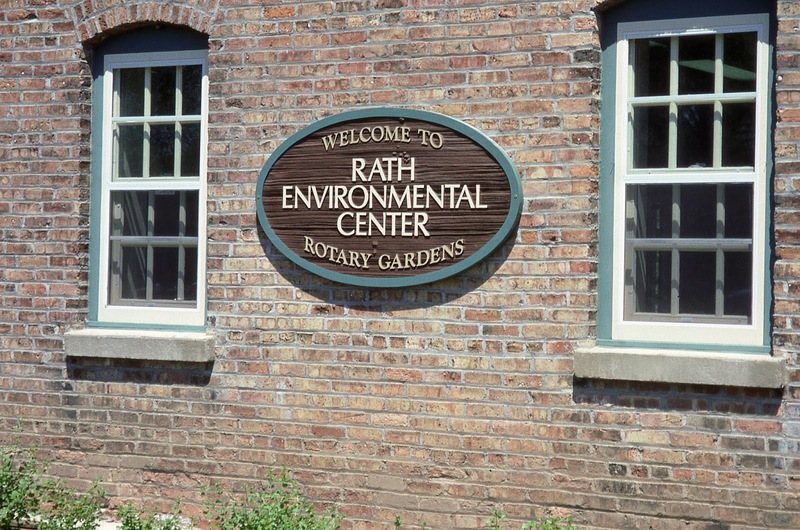 I hope my history is accurate but my understanding is that Dr. Yahr (RBG founder) saw the original building which had also been used as a residence (upstairs), cattle barn and essentially storage by the City of Janesville and envisioned saving this structure to become the first visitor’s center for Rotary Botanical Gardens. A generous donation from Duane Rath funded the conversion of the original structure which included a new roof, significant interior alterations and re-tuckpointing the existing brick facade. 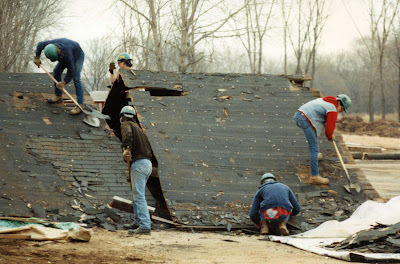 Many of the folks seen in these photos were volunteers from the GM Jobs Bank program and/or participants in the Wisconsin Conservation Corps program. 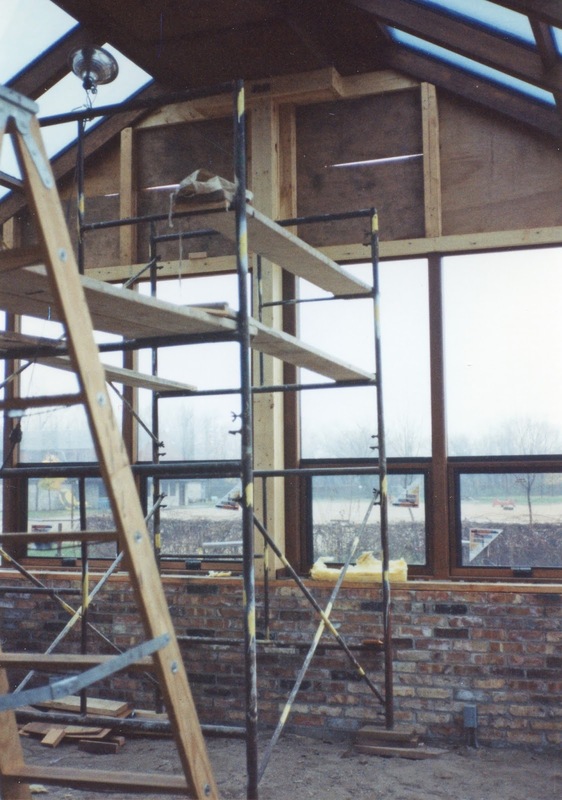 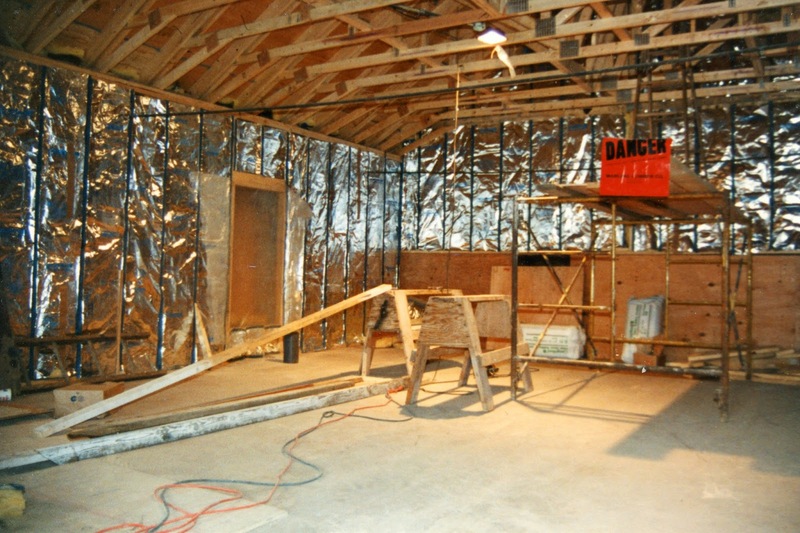 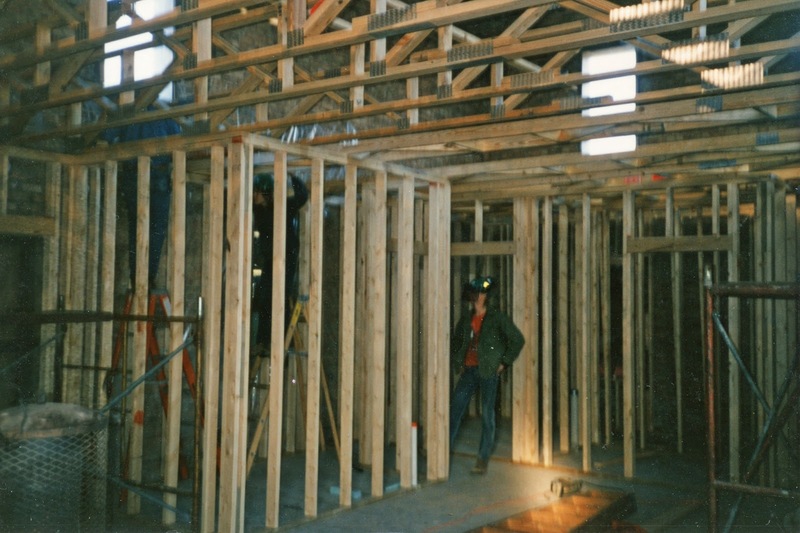 Some of the interior work is shown along with the creation of the solarium which was removed in 2000 to accommodate the expansion of the visitor’s center to include the Parker Education Center. 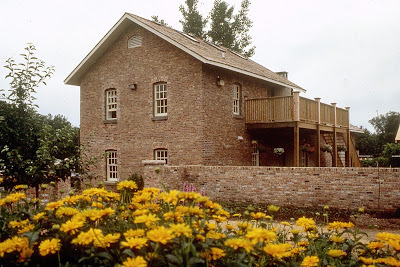 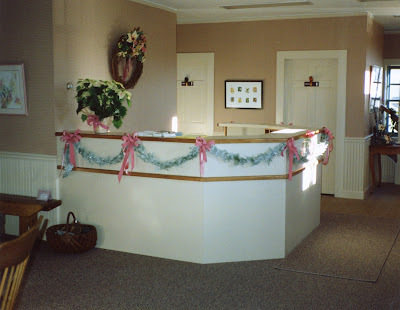 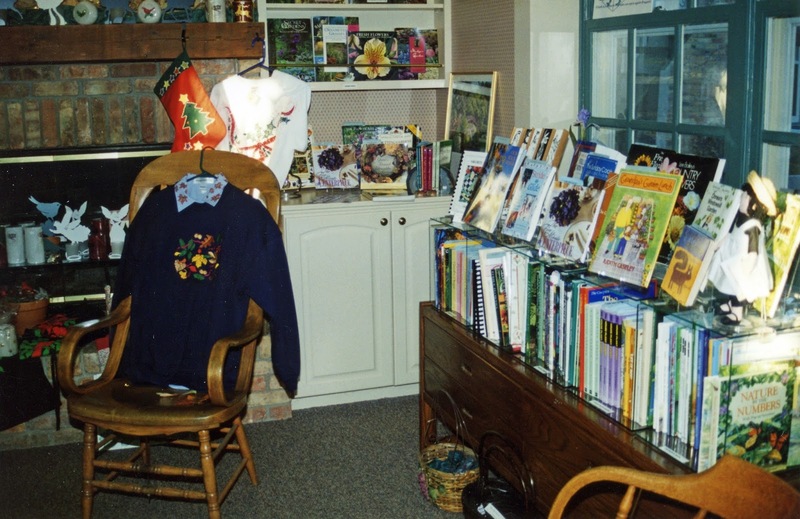 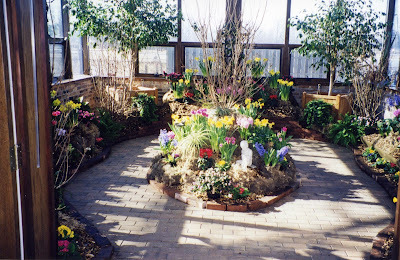 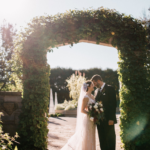 When I started at the gardens, there were six employees in the upstairs portion of the structure with bathrooms, a small kitchen, gift shop, meeting room and solarium on the first floor. We also has an attached three bay garage that housed all of our horticultural operations until the Horticulture Center was finished in 2001.